Priced at Rs 1.6 lakhs ex-sh, the KTM Duke 200 ABS goes on sale at all dealerships in India. 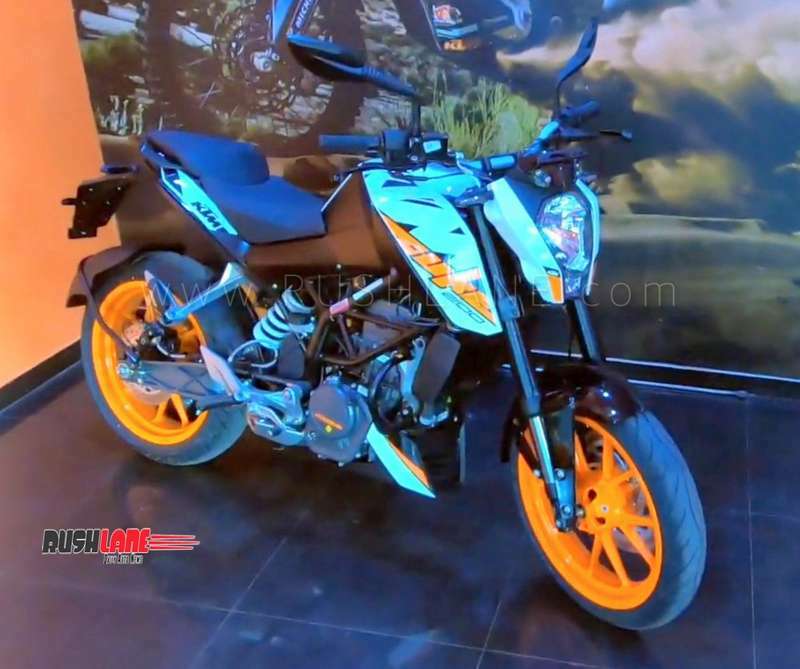 KTM launched the new Duke 200 ABS in India, ahead of the 1st April 2019 deadline; when it becomes mandatory for all bikes in the above 125cc to sport the ABS feature. The KTM Duke 200 anti lock brakes are being sourced from Bosch. Deliveries have commenced. On road price is Rs 1.9 lakhs in Mumbai. KTM 200 Duke ABS, apart from the ABS rings on the alloy wheels, looks identical to the non-ABS version. It measures 2,002mm in length, 873mm in width and 1,274mm in height. It has a wheelbase measuring 1,367mm. It gets 165mm ground clearance, 810mm seat height and fuel tank capacity of 11 liters. In spite of the ABS ring present on both front and rear wheel, the D200 does not come with dual channel ABS. It gets single channel ABS. ABS is equipped on the front wheel. The ABS rings on the rear wheel are for RLP or rear wheel lift protection. This feature will make sure that your bike’s rear is not lifted when you press the front brake hard. Similar setup is offered with KTM Duke 125 for Rs 1.18 lakhs. New D200 ABS gets suspension via 43mm upside down WP forks in the front and monoshocks at the rear. Braking is via 300 mm disc brake in the front and 230mm disc at the rear sourced from Bybre. KTM 200 Duke ABS, like its non-ABS counterpart sits on 17” alloy wheels fitted with MRF tyres measuring 110 section in the front and 150 section at the rear. Watch the detailed walkaround video below. Engine specifications continue with the same 199.5cc, single cylinder, liquid cooled unit. This engine is capable of 24.6 bhp at 10,000 rpm and 19.2 Nm of torque at 8,000 rpm mated to a 6-speed gearbox. KTM 200 Duke with ABS is on sale across all of KTM’s 450 dealers in the country in three colors of orange, white and black. It will also continue to compete with rivals such as the Yamaha FZ25 and Bajaj Pulsar NS 200.